Accessing your home has never been so easy. While remaining in your wheelchair or scooter you can safely enjoy your surroundings, eliminating the most difficult of transfers using this home elevator. 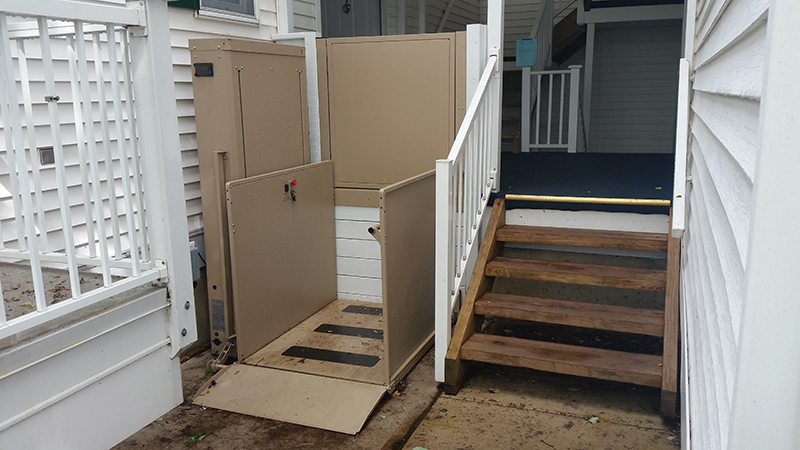 A Vertical Platform Lift makes accessibility in and out of your home possible. No more carrying heavy wheelchairs up and down the stairs or exposing you and your caregivers to precarious transfers on stairways. Usually used for garage or exterior solutions. 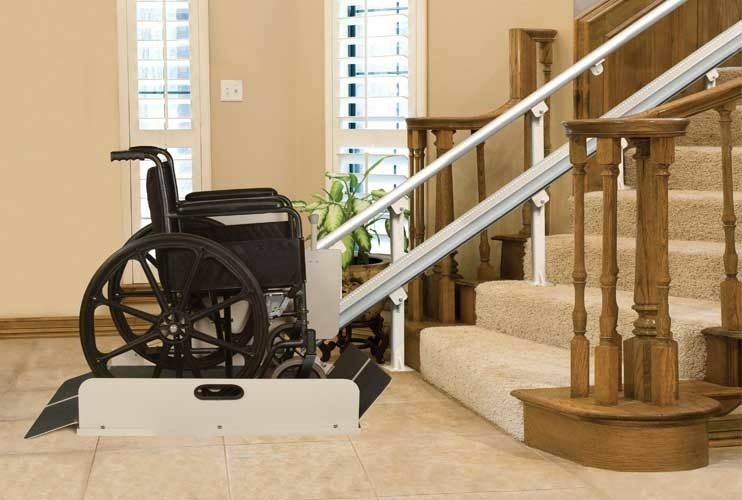 This innovative device is ideal for transporting a manual wheelchair up and down a straight indoor stairway. It has a 500 pound weight capacity. It does not require wall modifications. An Incline Platform Lift folds compactly out of the way allowing others to utilize the stairs. This solution is perfect when transfers on/off a wheelchair are difficult.